Winston Churchill is known as one of ‘the big three’ with USA’s President Franklin D. Roosevelt and the Soviet Union dictator, Joseph Stalin (Captivating History 2017). On November 30, 1874, Winston Leonard Spencer Churchill was born in Oxfordshire (England) and was part of the ‘influential and aristocratic’ Marlborough family (Captivating History 2017). Between the age of 2-6, he was brought up in Dublin, where he was privately educated in literature, history, writing, and maths. However, when he moved to boarding school, the young Winston ‘maintained a poor academic record’, and preferred studying military history and affairs (he even possessed a toy Soldier Collection which comprised around 1,500 soldiers from the Napoleonic era) (Captivating History 2017). In 1888, Churchill started attending Harrow School, and already during that time, he demonstrated his ambition of entering high-ranking positions within the army. In fact, Churchill stated to his school friend Murland Evans, ‘I tell you I shall be in command of the defences in London…In the high position I shall occupy, it will fall to me to save the Capital and save the Empire’ (Captivating History 2017; citing Churchill). 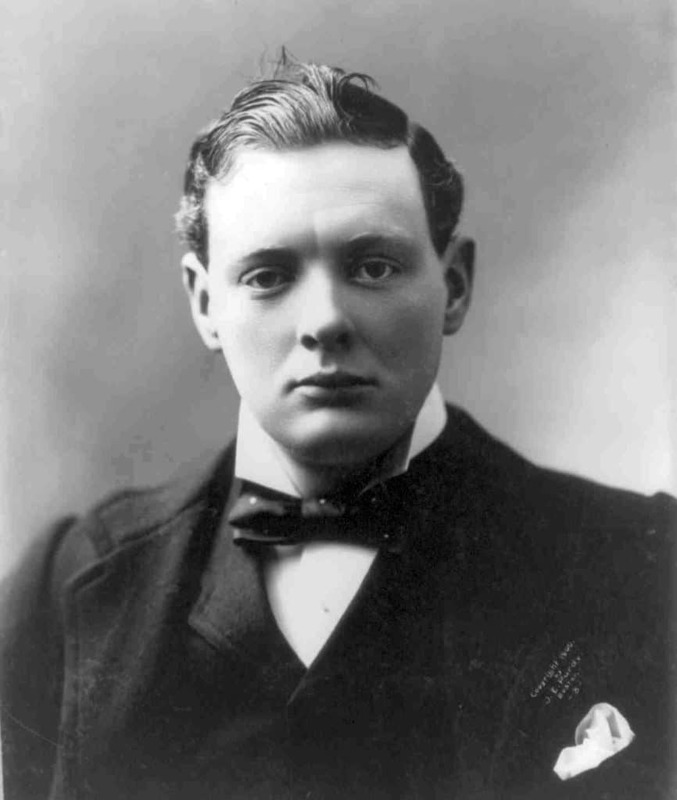 Seven years later, Churchill started his military career: he participated in the Cuban War for Independence, and the following year, he arrived in Bombay (part of the British Empire). It is here that Churchill became both a soldier and a journalist. Churchill was a self-learner. He developed his own education and knowledge, not by following the biased and limited teachings of the universities he attended, but rather, by reading important texts which allowed him to form his own opinion. For instance, he started reading parliamentary debates and ‘recording his own opinions’ on the matters discussed in parliament (Captivating History 2017). Although his entry to parliament in 1899 was rejected, he won a seat in the 1900’s General Election thanks to his oratory skills, which allowed him to travel across the United Kingdom and the United States on ‘a speaking tour’ (Captivating History 2017). During the first part of his political career, Churchill was associated with the Conservative party, and only gradually, he switched to the Liberal Party. He proposed free trade, founded the Free Food League, and spoke against protectionism by stating ‘to think you can make a man richer by putting on a tax is like a man thinking that he can stand in a bucket and lift himself up by the handle’ (Captivating History 2017; citing Churchill). On September 3, 1939, Winston Churchill became the First-Lord of the Admiralty. The following year Neville Chamberlain lost his popularity and Winston Churchill was nominated Prime Minister and Minister of Defence by King George VI (Captivating History 2017). In a speech on June 18, 1940 – after France had lost the war against Germany – Churchill proclaimed in a speech empowering words, and stated: ‘we shall fight in France, we shall fight on the seas and oceans, we shall fight with growing confidence and growing strength in the air, we shall defend our islands, whatever the cost may be, we shall fight on the beaches, we shall fight n the landing grounds, we shall fight in the fields and in the streets, we shall fight in the hills; we shall never surrender’. Thanks to his friendship with US President Franklin D. Roosevelt, he was able to obtain weapons and other military goods on a lend-lease act. On May 23, 1945, Churchill resigned from his prime minister post and became the leader of the Opposition Party for six years. During a speech in the US in 1946, Churchill delivered his ‘iron curtain speech’ and warned everyone of the Soviet Union’s dangerous ambitions. In October 1951, Churchill was once again the Prime Minister of Great Britain and resigned in April 1955. He spent his years of retirement between Chartwell House (Kent) and Hyde Park Gate (London). He died on January 24, 1965, due to a severe stroke. In the paragraph above, we have presented a general biography of the great British political leader. Below is a summarised list of his political accomplishments. Bombay (India) was part of the British Empire. Here, he reported and fought the Greco-Turkish War. Churchill ‘joined an attachment of the 21st Lancers serving in Sudan’. Here, he met military offices with whom he worked throughout the First World War, ie. Douglas Haig and John Jellicoe (WHP 2019). He was also a correspondent for the Morning Post. Here, he was a correspondent for the Morning Post: he reported the Second Boer War. He was imprisoned in November by Boer soldiers. However, in December, he managed to escape during the night: ‘wearing a brown flannel suit with £75 and four slabs of chocolate in his pocket, Churchill walked leisurely through the night in hopes of finding the Delagoa Bay Railway. So began his great escape and journey to freedom’ (WHP 2019). Following the disasters caused by WWI, Churchill established the rule of not fighting any major wars for the next ten years. 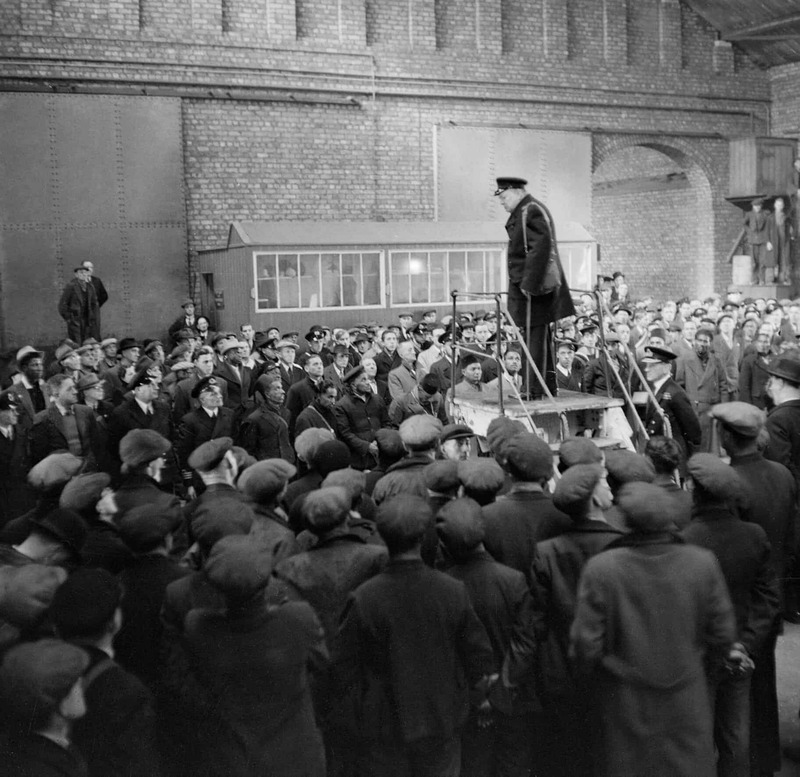 After having taken Neville Chamberlain’s position as prime minister, Churchill gave a speech in the House of Commons, and stated: I hope that any of my friends and colleagues, or former colleagues, who are affected by the political reconstruction, will make allowance, all allowance, for any lack of ceremony with which it has been necessary to act. I would say to the House, as I said to those who have joined this government: “I have nothing to offer but blood, toil, tears and sweat.” (WHP 2019; citing Churchill). Whilst Britain was still battling against the Germans, Churchill delivered a speech in which he stated: ‘The Germans have received back again that measure of fire and steel which they have so often meted out to others. Now this is not the end. It is not even the beginning of the end. But it is, perhaps, the end of the beginning’ (WHP 2019; citing Churchill). The Soviet Union, the United Kingdom, and the United States gathered in order to discuss how to appropriately ‘punish’ the Nazi Germans. Other issues that were discussed consisted in the ‘establishment of post-war order, peace treaties issues, and counteracting the effects of the war’ (WHP 2019). Churchill had also written books throughout his career. Some of them are: The Story of Malakand Field Force (1989), The River War (1899), Savrola (1900), The World Crisis (1923-29), History of the English-speaking Peoples (4 vols., 1956-58), The Unrelenting Struggle (1942), The Dawn of Liberation (1945), and Victory (1946). However, on October 15, he won the Nobel Prize because of ‘his mastery of historical and biographical descriptions as well as for brilliant oratory in defending exalted human values’ (WHP 2019). 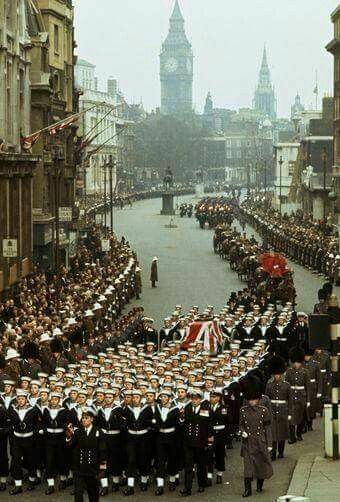 What is most known about Winston Churchill is his political life and commitment to saving the country. However, he also had a personal life. According to historian Sonia Purnell, the British politician was easily charmed by women: during parties not only would he rate women out 1,000; he would also use pick up lines such as ‘marry me, and I will conquer the world and lay it at your feet’ (Johnston 2015). 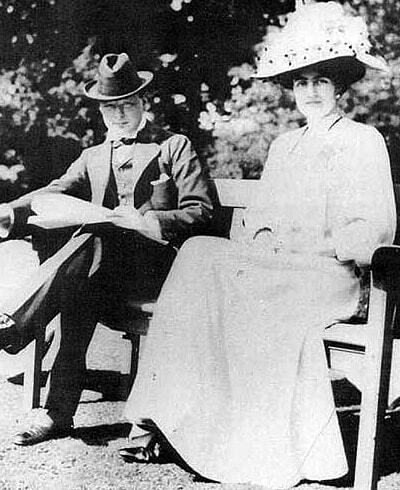 Despite his juvenile attractions, he married Clementine Churchill after only four months since he first met her. Sources claim he was profoundly in love and loyal to her. They stayed together until the end of Churchill’s days. In fact, during an interview with The Chiswick Calendar, Sonia Purnell discusses her book ‘First Lady: The Life and Wars of Clementine Churchill (2018), and claims ‘[Churchill] realised he relied on her completely..they were totally entwined even though they spent quite a lot of their marriage apart. […] They utterly depended upon each other, he more on her than the other way around. […] [Chuchill] was an immensely emotional person and very needy. [Clementine] provided all the emotional sustenance. She was also his political councillor, his bin doctor, his lobbyist. She was involved in every aspect of his life’ (Chiswick Calendar 2015). 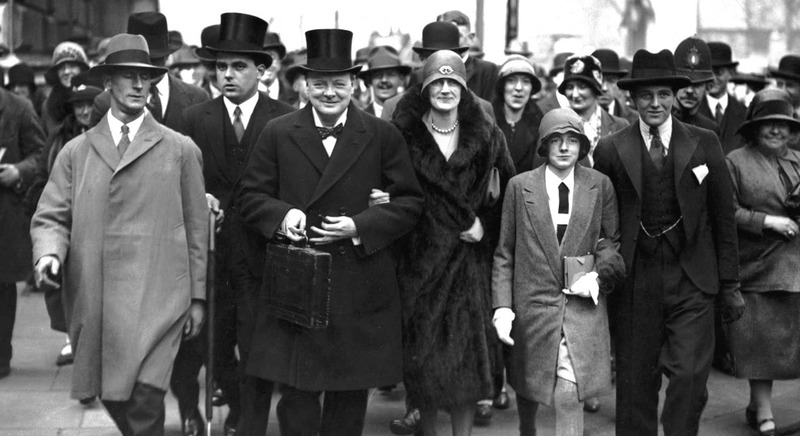 Churchill also had five children: Mary, Randolph, Diana (who committed suicide in 1965, at the age of 54), Margold, and Sarah (who became an actress and dancer).